The sculpture „Nobody – Somebody“ was created by multi-disciplinary artist Annina Roescheisen, as part of the collective project founded by L’Armoire à Couvertures, an association actively supporting the homeless in Switzerland. Each artist involved in the project was set the task of transforming his or her chair. Roescheisen created an installation sculpture. 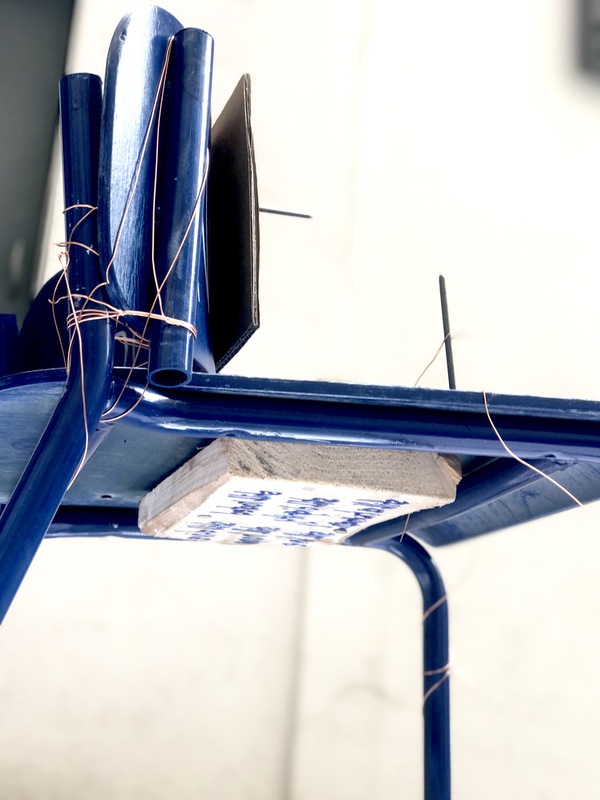 The artist removed and repositioned the back of the chair and then drilled it with nails, making it impossible to sit on. She explains that the homeless often lose their place in life; even being able to simply sit on a chair becomes an impossibility. Roescheisen’s theme refers to the homeless who have lost their place in society. They are part of the marginalised and so outcast from society that it is almost impossible for them to find a way back into society. in addition, their lives mostly take place at ground level. 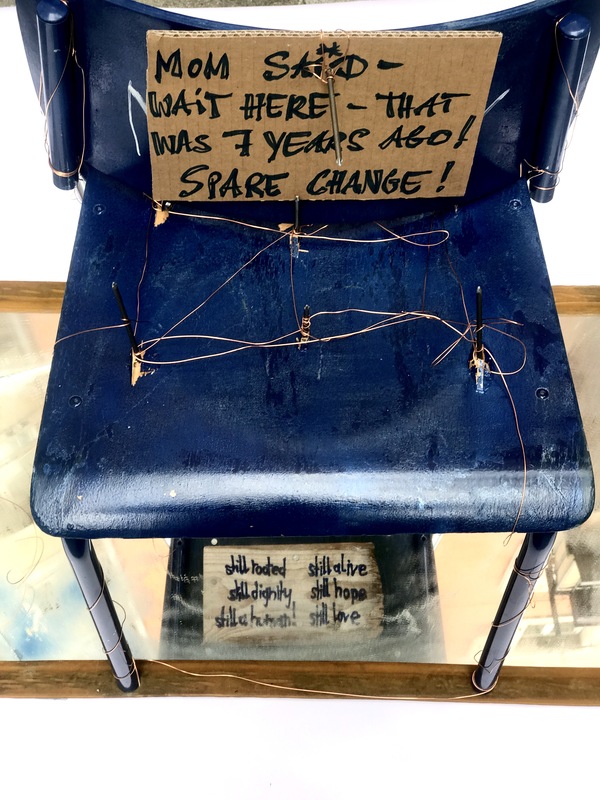 The chair is placed on a broken mirror that barely reflects the spectators’ face, like those of the homeless that often drastically change while living in the street. The piece is painted in Blue, a color referring to the soul, the sky, the dreams. « Still alive, still dignity, still love, still a human », which refers to the dignity and humanity of the homeless: even after losing everything, a human remains a human, regardless of his living conditions, his dignity must be preserved. However, in Roescheisen’s eyes, a thread, represented by the copper wires surrounding the entire piece, often holds homeless people’s life. The copper wire also refers to alchemy and a mythological reading that swings between war and love (*). The nails piercing the chair symbolise the offense and often, the violence imposed day to day on the homeless as well as in their lives in general. The artist highlights the fact that nobody, in today’s society, is really safe from their fortune changing and being in a similar situation. 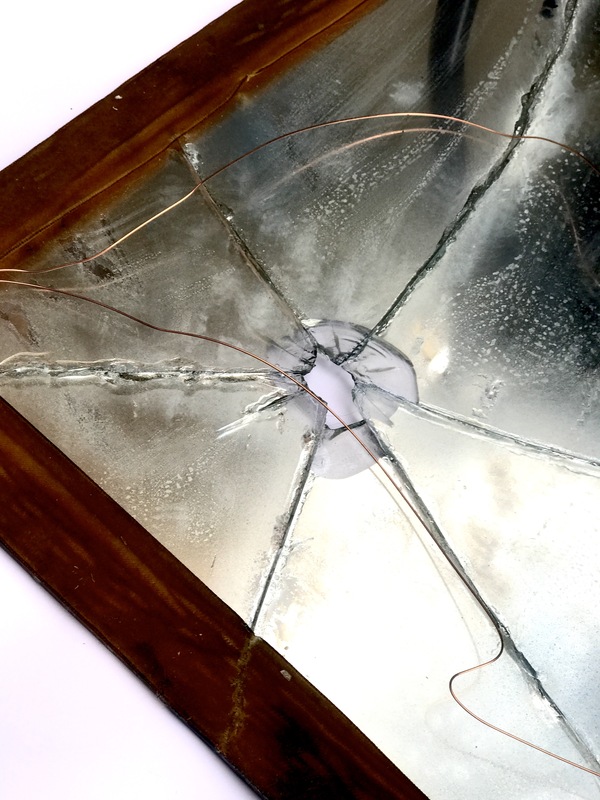 Roescheisen’s use of raw materials such as metals, copper, wood and glass underlines her wish to remain simple and to play with subjects that are accessible to all, and to convey a strong message related to humanism. The title plays with the duality of our perception and the one of the homeless: Nobody – Somebody questions and underlines that beyond our hasty judgments, we must accept and understand that a homeless person is not a nobody, but still a human being: a somebody.